Pursued on all download platforms in the world, applications dedicated to the study of foreign languages ​​are expected to revolutionize language learning. They allow you to train on grammar points and can be a very rewarding way to enrich your vocabulary. But their effectiveness is debated, especially with regard to skills such as written or oral expression. Among the most popular language learning applications are Duolinguo and Busuu. However, most research on these tools takes into account students who are also enrolled in classical language courses, in parallel with the use of these applications, which skews the results. My recent study of 4,095 Busuu users helped to better understand the audience for these applications, how they use them, and what they think of this way of learning. I wanted to also determine how much you can learn a language using an application. 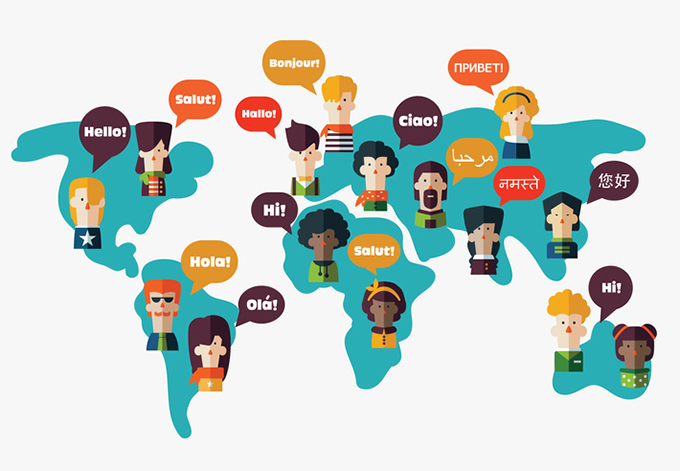 Busuu offers programs for twelve different languages ​​and boasts 60 million registered users. It has a “freemium” model, with some of its content available for free, the other accessible via a paid portal. The research has shown a clear difference in the practices of women and men and reveals that more than half of the users are between 18 and 25 years old. More than half see themselves as beginners and their use of the app decreases as their level rises. Most use it for personal reasons, to prepare for their vacations, to progress in a professional context or to study or live abroad. Answers about the frequency and duration of use of the application showed that most people use it several times a week, for about 15 minutes. It has been found that women tend to use them less often, but for longer periods than men. This is an aspect that has already been noted in previous studies. The use of applications is seen more as an informal learning activity. Indeed, two-thirds of people say they use them as soon as they have a free moment, while the other third provides well-planned sessions – which implies a more formal learning. An application usually only allows a fairly limited return on its progress, since it merely indicate whether we gave a good or a bad answer. Although it is useful information, it has nothing to do with the personalized follow-up recommended by teachers and researchers, because the student will never really know why he or she was wrong. Yet, even if Busuu is content with this superficial follow-up – without reference to any grammatical lesson – the correction she provides was particularly well evaluated by the participants. More than 75% of them consider it to be effective or very effective. Users are also very satisfied with the learning environment offered by the application – over 92% of respondents say that the app has met or exceeded their expectations, and 86% rate it as good or very good. In fact, over 82% of survey respondents recognize that using an app has helped them to improve their knowledge of the language being studied. The results of this study show that applications provide a valued service to their users. The fact that the time spent on these applications is perceived as useful shows how quickly these tools have become essential. With language teaching increasingly focusing on communication, students are turning to applications of this kind where they can train and be safe in a private setting. This reassuring environment, where errors are known only to the user, can be an answer to the anxiety of performance experienced by many students when asked to speak in a foreign language. From this point of view, teachers should not feel threatened by these applications. On the contrary, they should encourage their students to use them to do repetitive grammar exercises, which would allow more time for class discussions.